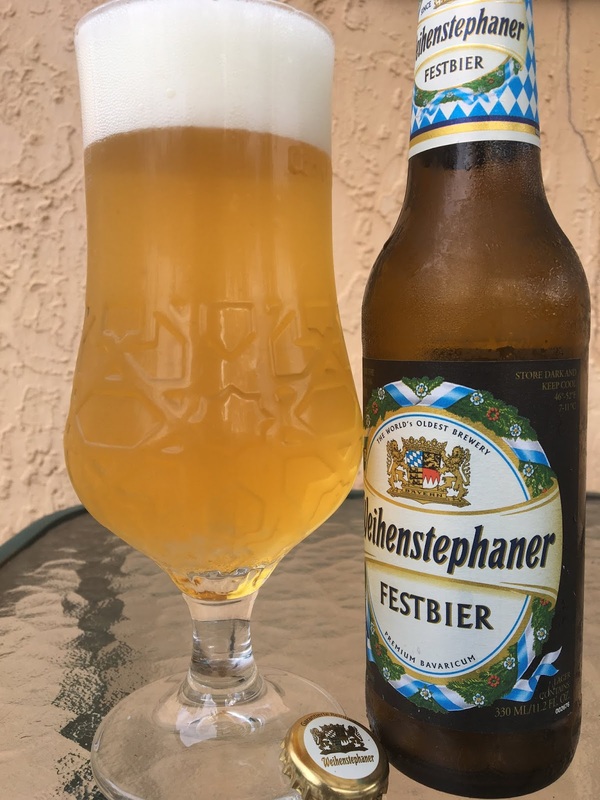 I've had Weihenstephaner Festbier many times including this 2011 review, but since the agency representing the brewery sent me this bottle, I'll write another up-to-date quickie. 5.8 % alcohol. 11.2 oz. Sweet, grainy, toasty aroma. Similar flavors full of the same sweet grain and toast. Hoppy, a little grassy. Some light fruity apple. Good body. Tasty.